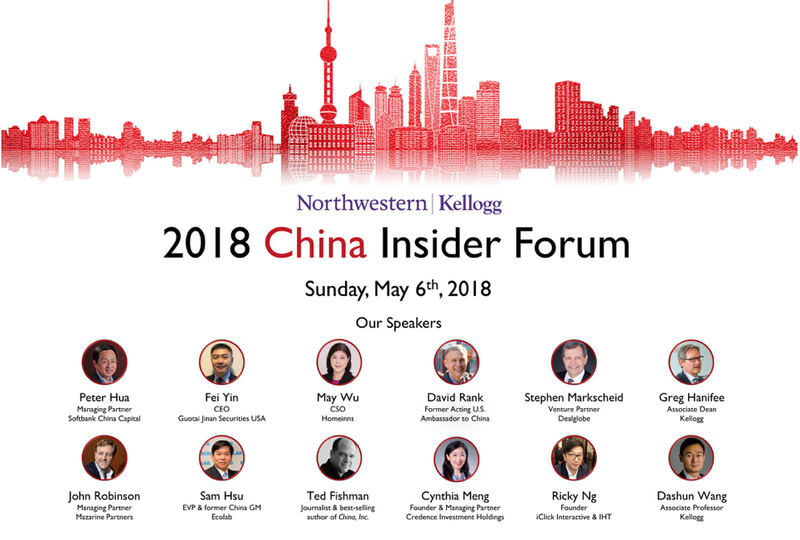 Northwestern University Kellogg School of Management's Chinese Business Club is proud to present the 2018 China Insider Forum on Sunday, May 6th. The theme of this year's forum is "Entering a New Era in China's Evolving Market Landscape"
Silicon Valley vs Beijing. Amazon vs Alibaba. Who will lead the world in technology innovation? Volvo, Motorola, AMC Theatre... who's next in China's shopping cart? Apple succeeded, Uber failed - what makes some companies win and others lose in China? What does China's (slowing) growth and trade war with the US mean for you as an MBA student?